WINCHESTER, Va., September 30, 2015 – Seeing is believing. That’s the idea behind the newest addition to Trex.com. The world’s number one decking and railing brand, and leader in high-performance, low-maintenance outdoor living products, has added a community-building “Share Your Project” feature to its website that allows Trex owners to showcase and celebrate their completed Trex projects while inspiring others looking to build their own dream decks. Located under the “Inspiration” tab at the top of the Trex homepage, the Share Your Project section invites Trex deck owners to upload up to five images of their outdoor living space, along with details about the Trex products they chose to use, including railing, lighting and the collection and color of Trex decking. The photos and information then become part of an online gallery of homeowner and professionally-built Trex projects, and also will be shared across Trex’s social media channels – Facebook, Twitter, Pinterest, Houzz and Instagram. The Share Your Project section also will include a link for owners to register the warranties for their Trex decks. Upon completion of warranty registration, deck owners will receive a welcome package, along with a free Trex plaque that can be attached to their deck. “The official Trex medallion provides the perfect finishing touch to any Trex deck and initiates recipients into the exclusive and proud community of Trex deck owners,” Zambanini added. 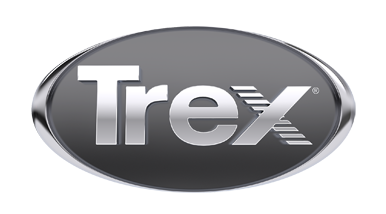 For more information about Trex outdoor products, including its award-winning railing and decking collections, visit trex.com.